"True innovation is coming up with a product that the customer didn't even know they needed." - J. Paul Getty. If fintech companies had a slogan, this would be it. Some years ago, we didn’t know that we needed a faster service than our traditional bank can perform. But here we are today, talking about contactless cards, paying with mobile or wearable tech, introducing AI and new technology in the financial industry, and putting a greater focus on financial inclusion. Fintech companies are disrupting the banking industry and investors like it. As reported by KPMG, in the first half of 2018 the Fintech investment reached $57.9 billion surpassing the total of 2017 investments. Europe tops with $26 billion making it a hot spot for Fintech companies. The UK leads in the European area with $16 billion in investment. The US Fintechs received investments of $14.2 billion with California and Massachusetts taking the lead. Asia’s Fintechs are reported to have received investments worth $16.8 billion. However, the fast pace of introducing new business models in the industry leads to enhanced security risks. Many Fintechs find it hard to navigate through the regulations because many times those regulations can’t be applied to their business model or are too restraining. Fortunately, many authorities are creating safe environments to foster innovative business models. These safe environments called “regulatory sandboxes” bring together the regulators and the Fintechs in a symbiotic relationship to develop and navigate the regulatory landscape. The term “regulatory sandbox” refers to a framework where private companies test new business models and innovations in a controlled environment under the supervision of a regulator. It is a system where regulations are developed to match pace with innovations, and where Fintechs are allowed to perform live testing under special exemptions. How does a sandbox work? Fintechs are small start-ups consisting of mostly engineers who are entering an industry that requires of them to follow many rules and regulations. This can be money and time-consuming, and not before long, the company can run out of funds before even having the chance to test the product or model. In the sandbox, fintechs can perform the testing on a limited scale: they constantly run a simulation with real users. However, the number of users and the size of the transactions is limited to control any possible negative or breaching of regulations. The participants in the sandbox are provided with regulatory support. Only when the business meets the requirements and performs a successful testing is allowed to apply for licensing. The guidance for applying is provided by the sandbox. Almost all existing sandboxes are with a limited time of participation. The navigation of financial regulation, as we previously said, is money-consuming, but non-compliance can result in shutting down the business. The sandbox gives the participants the necessary guidance on how to implement regulatory compliance, while the Fintechs focus on developing the product or the model. The sandboxes allow the companies to perform real-life testings. Working with real users and real transactions gives genuine feedback on the performance for all participants; the companies and the regulators alike. The companies can adjust their product or model accordingly and timely to meet customer requirements and the regulators can intervene with adjustments of regulations or with guidance on how to protect customers. Restrictions on transactions size can reduce any negative implications in case of failure. For Fintech startups that participate in a regulatory sandbox is much easier to pitch investors. This is due to the fact that the startups work closely with the regulators which eliminates the danger of investing in an unregulated business which can later be found illegal and be closed down. Since sandboxes facilitate innovations, the investors are more eager to invest in a business that is both compliant and innovative because they can achieve a lucrative return on investment. Many Fintech startups have trouble when it comes to being regulatory compliant. Many of the business models or product are not encompassed by the existing regulations or are scrutinized and this landscape smothers innovation. The sandbox gives the regulators real insight into the market and its requirements and new, more appropriate regulations are being developed with ease. Adjusting regulations to foster innovations not only helps the Fintech startups but also boosts the country’s economy by making it startup friendly. Fintech innovations come with a lot of risks. Luckily, the sandbox environment is a controlled one and all the models and products are tested with a specific number of users before they are presented to the general public. During this period, more focused policies can be developed to meet the rising challenges. 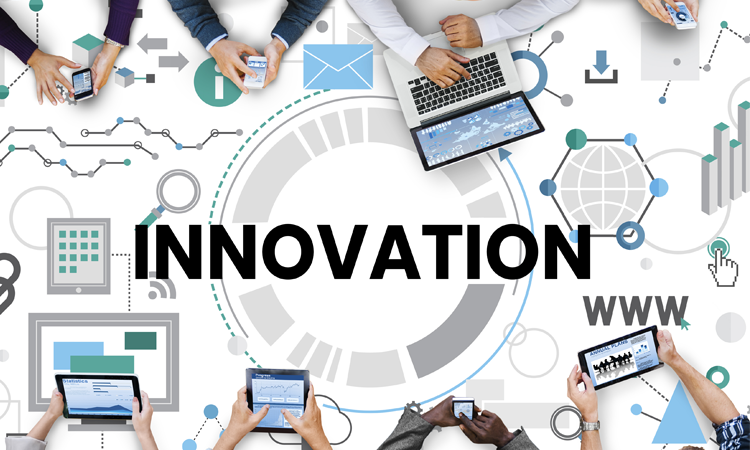 The U.K. Financial Conduct Authority (FCA), in 2014, launched Project Innovate and the Innovation Hub. The sandbox began its operations in 2015. The goal is to help companies navigate the regulatory landscape and apply for authorization. Their second goal is to be the center for UK’s innovation policy. The Hub has also established international connections and opened the doors to foreign companies to the UK leading to increased innovation and competition in the market. They have also aided in the spread of UK firms in the foreign markets that can potentially increase their competitiveness. Up until now, through Project Innovative’s 4 cohorts have been accepted 102 application out of 276 applicants and 327 have requested for support. The Australian government saw the opportunity of exporting financial services and to aid this some regulators created outreach programs. The most notable is the ASIC Innovation Hub. The Hub fosters innovation by helping fintech start-ups navigate through the regulations. They also host and attend industry events and can affiliate fintechs to a government official for guidance through the compliance process. Since their opening, 314 requested and received informal assistance. In June 2016, The Monetary Authority of Singapore (MAS) launched their Sandbox for FIntech startups. In August 2017, they had their first startup graduate from the sandbox. According to their last Annual Report 2017/2018, more than 140 entities approached, 40 applied and only 20 proceeded. The scope of services offered by the applicants included: investment management, broking, crowdfunding, cross-border funds transfer, insurance, and financial advisory. In March 2018 Arizona became the first state in the US to offer a regulatory sandbox by introducing H.B. 2434. The Arizona House Bill Financial products; regulatory exemption program is to start late this year and the program ends on July 1, 2028. The sandbox will allow start-ups to test their products without licensing for a period of 24 months and will include round 100.000 users.